Arden, Freehold Communities’ new master-planned community in Palm Beach County, is quickly taking shape. Following an extremely successful First Neighborhood Grand Opening that attracted more than 3,000 people, prospective homebuyers are eager to see what’s next for one of the most highly anticipated communities in South Florida. So here is what’s happening at Arden and what to expect in the coming months. 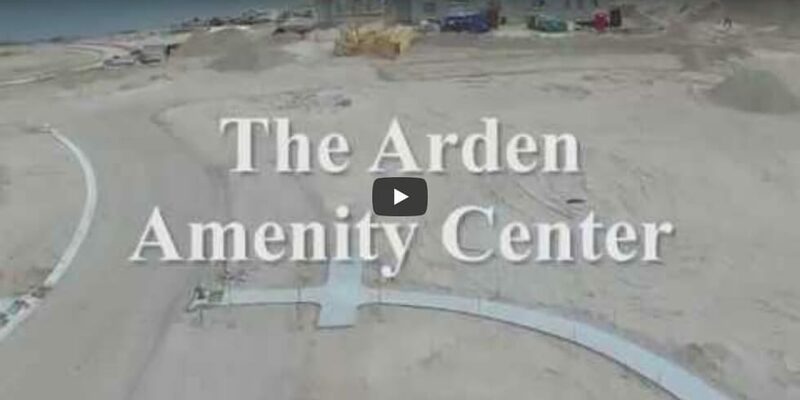 The community Clubhouse is Arden’s recreational core, and construction is already underway! Expected to open Spring 2018, the Clubhouse will provide residents with comfortable lounge areas and places to meet up. Residents will be able to grab their morning cup of joe, smoothie or snack from the HUB Wi-Fi Café before dropping the kids off at school or settling in to work remotely. The state-of-the-art Fitness Center will provide all of the cardio and strength training equipment you’ll ever need, and Wellbeats™ virtual classes, available on demand, will make it simple to fit your favorite class into your busy schedule. Right outside, the resort-style pool with shaded lounge areas and an interactive water feature will make it easy to relax with a good book while the kids play, right within sight. Homes at Arden are meticulously designed to bring families together and create a sense of community and belonging. Ryan Homes, one of the top five homebuilders in the country, is making this vision a reality with their brand-new selection of homes offered at Arden. With spacious, open floor plans and an impressive selection of included features like granite countertops and stainless-steel appliances, you’re sure to find a home uniquely suited to your family. Visit Ryan Homes’ two model homes to see for yourself! Models are open on Mondays from 1pm-6pm, Tuesday-Saturday from 11am-6pm and Sundays from 12pm-6pm. Stay tuned for more builder news coming soon! More than thirty homes have already sold at Arden and the first families will be moving in this year! As some of the first residents, these families will have some special opportunities. Not only will they be able to enjoy all the brand-new amenities as soon as they open, they will be able to shape the culture of Arden and create the kind of community they want to live in. And because the community programming will be planned by Arden’s full-time Lifestyle Director, based on residents’ interests, the first residents will help influence Arden’s year-round calendar of events and activities, whether that includes running clubs, game nights, coffee socials, mommy gettogethers, community picnics or even food truck parties! It won’t be long until Arden is a lively, thriving new community full of families creating memories together. Come and see how it’s all taking shape and start building your dream home. Visit Arden today, and make sure to join our Founders Club to stay up-to-date on Arden news.